Flexing for the camera, René Grincourt fronts Wormland's spring-summer 2019 campaign. 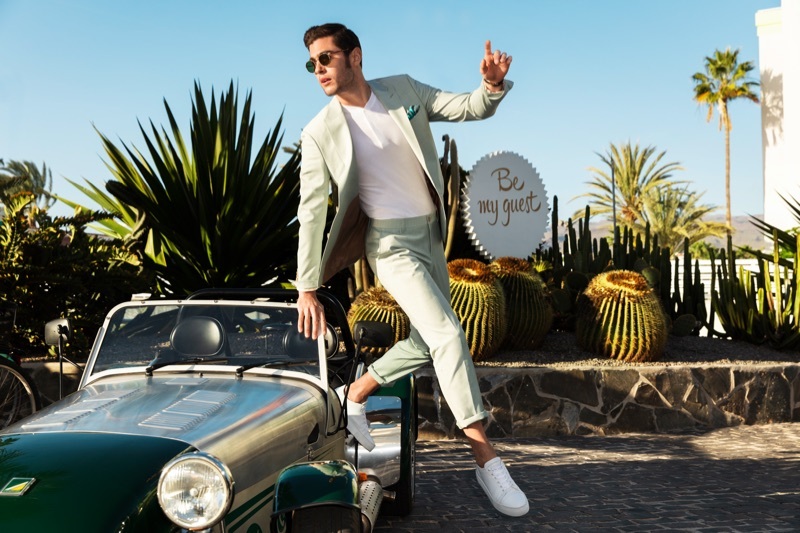 Wormland embraces a fun slogan of "Be Hungry" for its spring-summer 2019 campaign. Led by the creative direction of Michael Meise, the German retailer fulfills the hunger for adventure, freedom, dreams, and more with its vibrant outing. 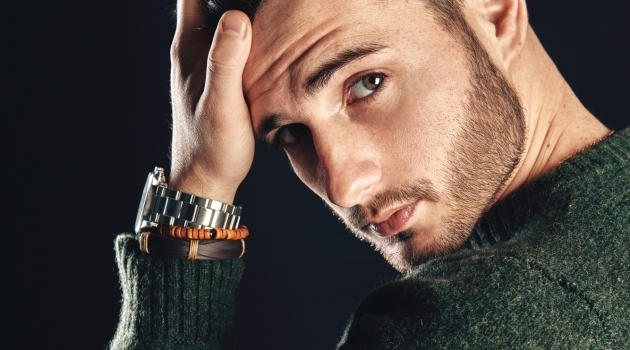 Front and center, René Grincourt reunites with Wormland for its advertisement. The French model joins Dahlia Provoost for the occasion. Photographed by Felix Krüger, René embraces a variety of styles for the season. Erich Leis outfits him in both sharp suits and leisurewear. Leis draws attention to brands such as Calvin Klein and BOSS. Meanwhile, Dahlia stuns in a wardrobe styled by Dennis Blys. Grooming artist Israel Alcantara looks after René's and Dahlia's makeup and hairstyling. 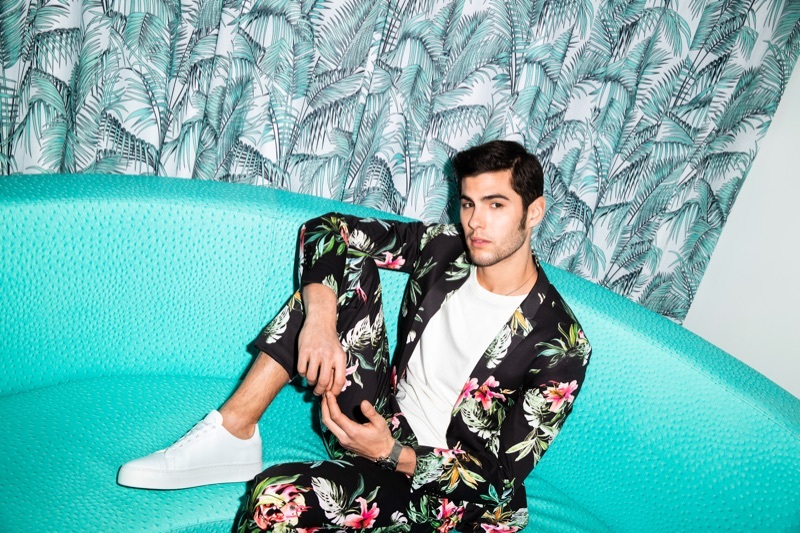 René Grincourt dons a suit with sneakers for Wormland's spring-summer 2019 campaign. French model René Grincourt suits up for Wormland's spring-summer 2019 campaign. 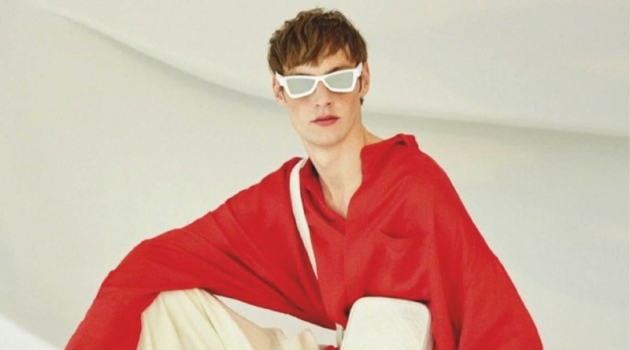 Posing with cacti, René Grincourt appears in Wormland's spring-summer 2019 campaign. The life of the party, René Grincourt sports warm weather tailoring for Wormland's spring-summer 2019 campaign. Making a floral statement in an elegant suit, René Grincourt stars in Wormland's spring-summer 2019 campaign. Showing off his best fighting moves, René Grincourt fronts Wormland's spring-summer 2019 campaign. Cheeky to say the least, René Grincourt appears in Wormland's spring-summer 2019 campaign. Appearing poolside, René Grincourt rocks a leather jacket for Wormland's spring-summer 2019 campaign. 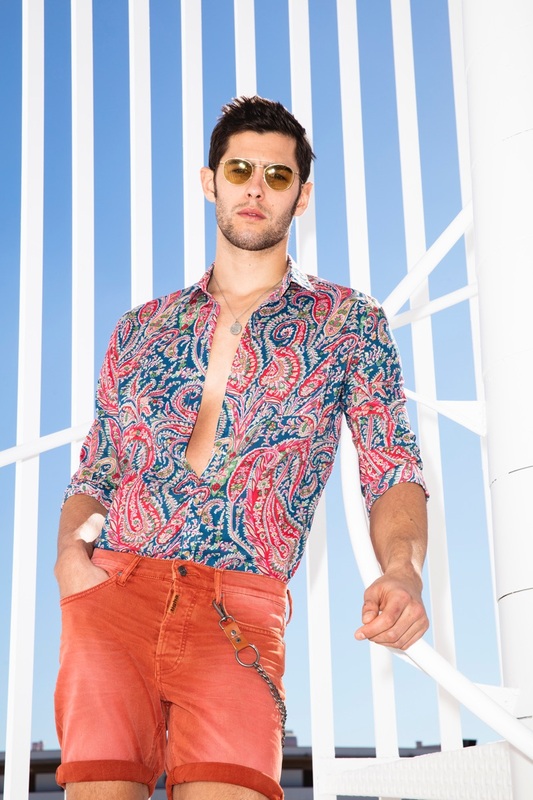 Delivering retro vibes, René Grincourt models a paisley print shirt and denim shorts for Wormland's spring-summer 2019 campaign.